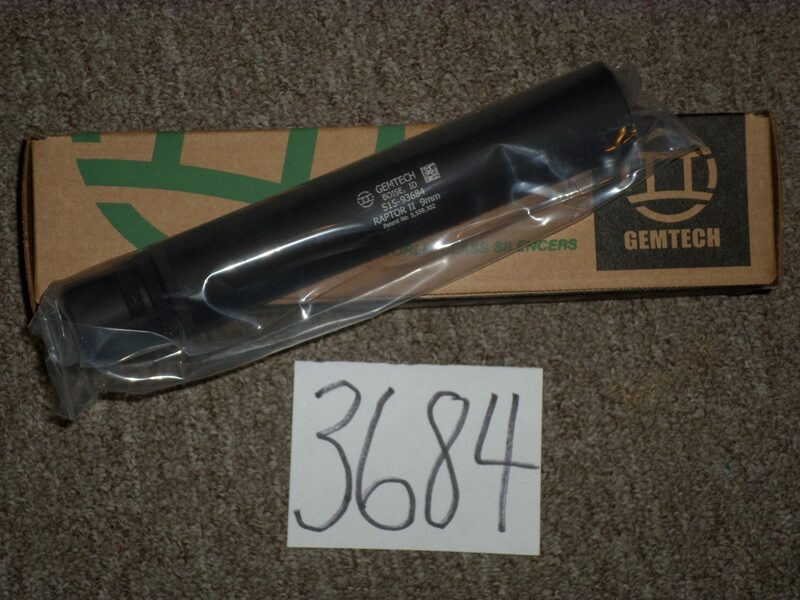 NEW - Gemtech Raptor 9MM 3-Lug Suppressor Ideal for MP5. List price $699. Sale $649.